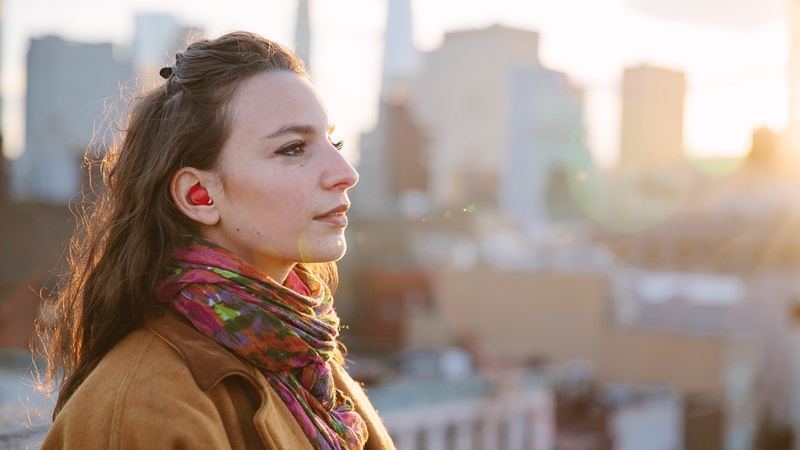 The internet went nuts for Pilot, a real time translation hearable, this week. It's not the first time in the past few years that people have cried 'Babel Fish!' - most recently for Skype's Translator feature, which started rolling out in beta for seven languages at the end of 2015. Microsoft's efforts are impressive but still a way off allowing us to have real time Skype conversations in multiple languages. So can Waverly Labs, a New York startup made up of six people, and its founder Andrew Ochoa, do any better? Here are the questions we're asking about Pilot. This is the most important question, really. Here's what we know about Pilot. The first video it put out appears to show the wireless hearable, which includes a microphone to capture audio from the person you're speaking to, translating between French and English in real time. BUT Waverly Labs is publishing a second video today, apparently to show a more realistic demo. The company's Media Kit says the earpiece "will be out by Spring 2017" following the launch of an Indiegogo campaign and mobile app in 2016. By the usual crowdfunding rule, we'd expect then for units to ship by the end of 2017. Pilot will cost $299 at the full retail price but Waverly Labs has indicated that the Indiegogo price could be more like $249, or lower. The price includes a second wireless earbud which can be used for music, a charging case and some languages (English, French, Spanish, Italian currently supported) - others will be purchased separately when available, including "East Asian, Hindi, Slavic and Semitic languages". A small startup, with enough cash and talent, could build a wireless earbud with a microphone by mid to end 2017. That's not the tricky part. As we've mentioned, Ochoa is already backtracking on its claims after the outrageous amount of internet attention Pilot is getting. Forbes spoke to Ochoa yesterday and he had this to say: "We're building a hybrid system. Some of it's licensed and some we've built ourselves. We don't want to make any promises or references that this is incredibly real-time or that we could give you an earpiece and drop you off in the middle of Tokyo. That is not what we're trying to convey at all." OK. So Waverly's six person team isn't doing all the work itself, maybe it's using open source work on speech recognition and translation and paying for other research and patented systems. That's more promising. And, despite that video, it's not "incredibly real time". Slow that hype machine down. 3. Is it as good as Skype Translator? For anyone who has actually looked into what's out there, another pressing question is can it out translate Skype? Again, Ochoa himself is downplaying expectations. "[Pilot] lags much more than Skype's latest translation engine does…they are using," he said. "I'm not saying we built something comparable to that." He stresses the packaging and "combining" of technologies suggesting that Pilot will live or die on other tech outside of Waverly Labs. Presumably, the Pilot mobile app will give it more voice data to work with, just as Google Translate, Skype and Nuance's various voice assistant apps give these companies more material to help improve their machine learning algorithms, the more people use them. But we can't imagine that an Indiegogo campaign, even with this hype, would generate the numbers needed to make this really game changing. Pilot's translation platform is at the "late alpha" stage and Waverly Lab's CEO says there is still a lot of testing to be done. The best idea we will have of what the earbud will offer is when the mobile app is launched later in 2016. Or, you know, when we get to try it out for reals. The startup shared images of design prototypes in October 2015 - white, black and red models in glossy and matte finishes - but, like we said, a nice fit is important and all but this isn't the most difficult part. We also know the hearables will be manufactured in Shenzhen, China. 5. Who is Andrew Ochoa? The founder and CEO of Waverly Labs describes himself as a "tech futurist, entrepreneur, autodidact, sojourner, blogger" in his Twitter bio (he has 162 followers). He founded Waverly Labs in October 2013, according to his LinkedIn profile, and the only other job he's chosen to share is a sales and product development consultant role. The rest of the team includes an electrical engineer called Bill, who has visited manufacturers in Shenzhen, but Waverly Lab's "Team" page doesn't provide much more info on the backgrounds of other employees, apart from a few photos. Investment so far has been from "family and friends" but Ochoa is reportedly in talks with investors. Waverly Labs intends to answer everyone's questions today, 18 May, as well as posting the second video including a demonstration of how Pilot works. We'll update this story with the new information. If you're willing to take the punt regardless, you can sign up to put your name on a waitlist for Pilot.